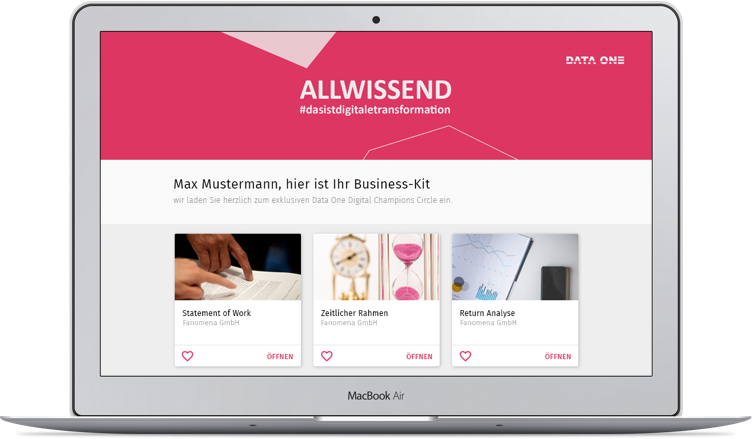 Data One is a middle-class consultation und development house, specialized on the support of the digital transformation of companies. As leading player Data One offers an innovative portfolio of services and own software solutions. Their claim is it to accompany customers as partners and to inspire with new ideas, technologies and innovations. 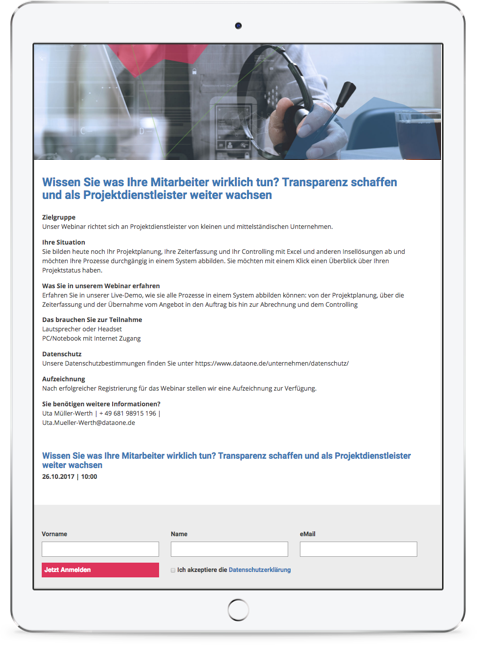 Data One not only advises companies in the course of digital transformation, the Saarbrücken-based consulting firm has also set itself the strategic goal of improving processes in the course of customer orientation. In addition to optimizing lead quality, the focus should be on providing potential customers with the best possible quality information at all times at Customer Journey. In the course of marketing automation, an interface to the CRM module within the SAP Business ByDesign cloud ERP was also to be created. The goal: more efficient and faster workflows between marketing and sales as well as higher conversion rates on the customer side.. In order to be able to display all these processes completely, the full-service solution hileadzz and the integrated digital business kit were chosen. The start was made with the Use-Case Fairs & Events. The challenge was that Data One’s Cloud-Tag Saarland was just around the corner. Therefore, the integration of hileadzz had to be carried out in a very short time frame. Another requirement was to register new participants at the check-in and provide them with event information in real time. In order to be able to map the entire Data One Customer Journey, hileadzz was fully integrated into the marketing and sales process. The registration of trade fair visitors is now done directly in the lead mask of hileadzz. Event and webinar participants can register directly for the event via a specially created registration page. By using the hileadzz digital business kit, Data One is now able to provide its potential customers with information on events and solutions tailored to their individual needs. For the realization of the webinars, hileadzz was connected to the tool “Citrix – Go2Webinar”, so that a smooth realization of the webinars could be guaranteed. Here, the participants will now receive individual and custom-fit information at a later date. In order to ensure the highest possible efficiency and to exclude data redundancies, it was essential to connect hileadzz to the existing CRM of the cloud solution SAP Business ByDesign. For this purpose, an interface has been created specifically to ensure that the leads reach the right place in the sales department via marketing. With hileadzz, I can provide my team with a tool that allows us to work faster and more efficiently. In addition, we can now accompany each customer individually on their Customer Journey. After submitting the form you can choose the time that suits you best. Your participation in the live demo is completely free and non-binding. The newsletter is sent once per week and contains articles, news and latest from our products. Simply enter your email address below and receive our demo Businesskit right in your inbox. Your participation in the live demo is completely free and non-binding.